Have a question about TCJA changes? Check out the TCJA overview! Welcome to the E-File Help Center. 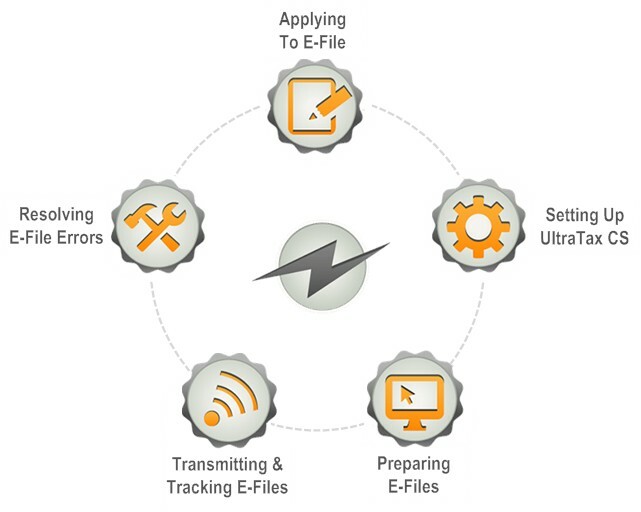 From here, you can access detailed information to help you e-file your clients' returns - from applying to e-file, setting up UltraTax CS for e-filing, and preparing e-files to transmitting and tracking e-files and resolving errors. Click an icon below to access information relevant to that category.